I was standing amongst a group of women the other day listening to the conversation. I am not fully sure how, but the topic of breast cancer came up. Three of the four of us standing there lost our mothers to the disease. As I looked around another woman close by recently lost a sister. It is not hard to find someone who’s life has not been affected by breast cancer, it seems in my travels it is nearly impossible. According to recent statistics, about 1 in 8 US woman will develop invasive breast cancer in her lifetime. As you stand in a room look around, count the woman in the room. Who will it be? With numbers like that what still astonishes me are those who do not have a sense of urgency to be checked. Women who find it to be too much of an annoyance to have the yearly mammogram done. For many of us the mammogram was useless. I used to also have yearly breast ultrasounds. If you are not fortunate enough to have a doctor who will write the scripts together you have to wait for the alarming phone call letting you know the mammo was inconclusive or even worse saw something abnormal. It is probably nothing they say but back to the radiologists for the ultrasound, very time-consuming. Most of my lumps never showed up on mammograms. Many times I heard it was probably nothing. Several of those ended up in biopsy until the day when it was the beginnings of something. I was able to react, to take control of my situation because I was vigilant with my screenings. I hated it of course but a necessary thing. 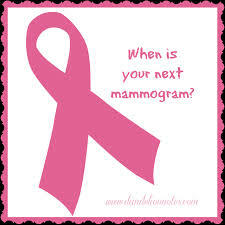 I had my first Mammogram at 22 years old and my first biopsy soon after. Mammograms, Ultrasounds surgeries and MRI’s made it clear what my future would hold. Because of screenings I was able to seek out advice, talk to experts and make the decision to have a preventative mastectomy before ever having to face any type of cancer battle, thank god! Complain, whine, scream if you must but make your appointments and have the screening done! Somethings are just too important to wait! So where did my money go? Not too long ago I wrote a post, Sensory Overload, in which I implied my distrust for all of the pink that we all must swim in for the entire month of October. I made the following statement, Don’t misunderstand, I think it is wonderful that everyone is raising money to hopefully one day put an end to Breast Cancer. But let’s be honest here, would the NFL be repainting lines in bright pink if it was not profitable? So, I was not surprised to find the following article actually breaking down some of those numbers from the NFL. (Click to see the article). What did surprise me was just how much did or should I say did not benefit breast cancer. According to the article only $8 of every $100 spent is actually donated to breast cancer charities. I love capitalism and I love the freedom that allows those who work hard to make lots of money. I do not love vagueness, ambiguity or implication. Sure money is needed to research for the cure. If you would like to donate please research to ensure the money is actually going to where you would like it to go. 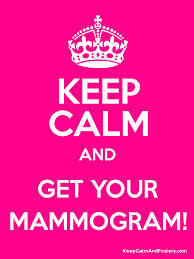 Even better call the women you love and ensure they are having mammograms and talking to their doctors. There is nothing wrong with pretty pink hoodies supporting your favorite sports teams but like everything else in life make sure you are buying the for the right reasons. Pumpkins and pink items. Everywhere I go there they are. Pumpkin ice cream, pumpkin coffee, pop tarts, bagels, waffles, oatmeal, marshmallow, beer, potato chips and even vodka. Virtually anything you could imagine now available in pumpkin flavor or scent, most for a limited time of course. People everywhere are gorging themselves all in the name of the season. 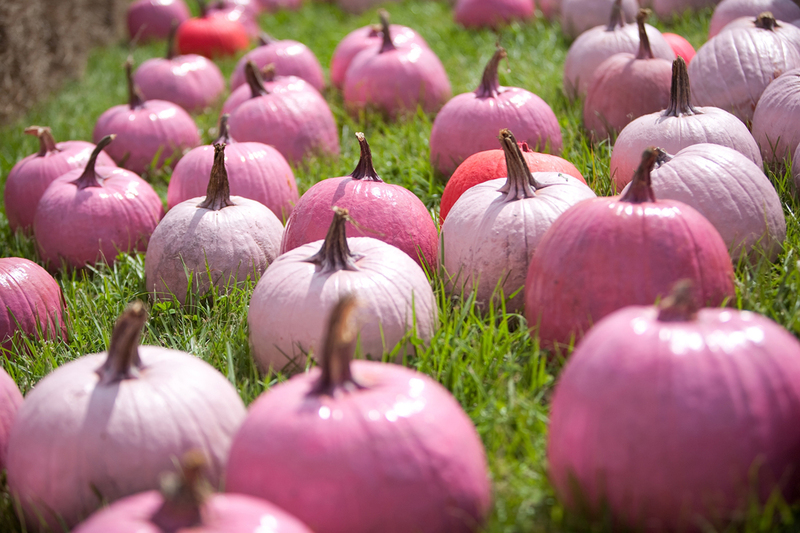 Even the Pumpkins are pink! When not bombarded with all things orange and pumpkin, my eyes are overwhelmed with all things pink. Walks and rallies, sports events at all levels and all products imaginable marketed in pink for Breast Cancer awareness month. Watching football this week is giving me a bit of a headache with the pink shoes, gloves and towels flying around. Don’t misunderstand, I think it is wonderful that everyone is raising money to hopefully one day put an end to Breast Cancer. But let’s be honest here, would the NFL be repainting lines in bright pink if it was not profitable? All hype aside, maybe you do not have the extra money to buy that cute pink whatever. Maybe things are too tight to send anything in the envelope this time around. What you could do is something much more impactful, maybe pick up a phone and call a woman who you love and ask if they have had a mammogram recently. This week I shared my own bilateral prophylactic mastectomy story with 3 of the women I work with. Two of those women have breast cancer in their own families. I encouraged them to be proactive talk to their doctors and possibly get tested for the BRCA gene. I wasn’t even wearing anything pink.